HTC's flagship phone brings some interesting features to the top of the market including great looks and 24-bit audio. But there's better value elsewhere. Update: Before you choose a phone, check out the amazing Samsung Galaxy S8 review. 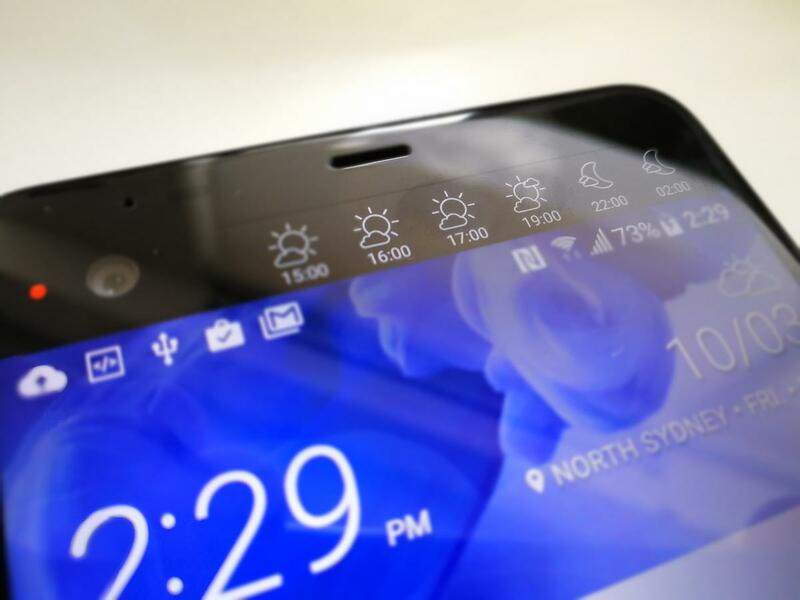 Phone aficionados have a soft spot for HTC. The company’s hardware almost always seems to be very well made and only occasionally tainted by dodgy software or pricing. 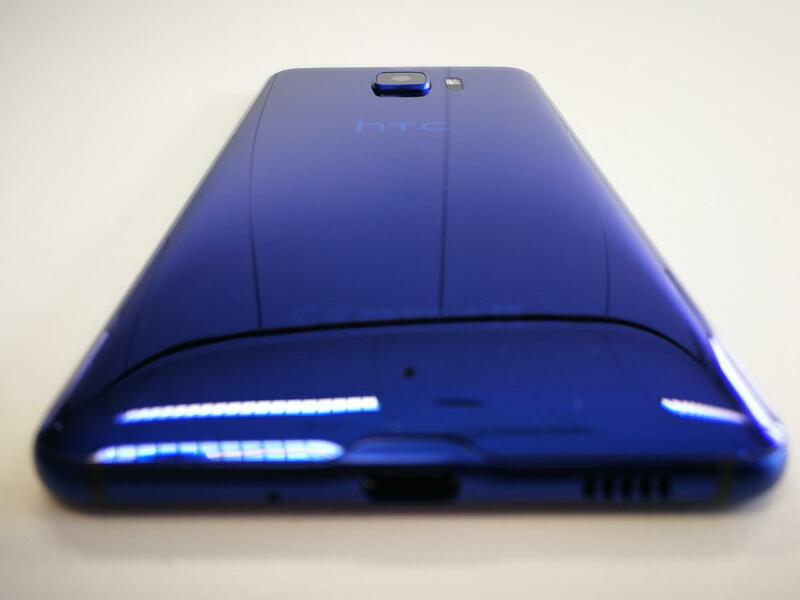 Here’s the new HTC U Ultra. It’s a bit of a tongue twister to say out loud, but you only need to glimpse at it to see how it’s one of the prettiest phones around… probably ever. But the premium phone market has some amazing choices including the Google Pixel XL, the Huawei Mate 9, the iPhone 7 and the forthcoming Samsung Galaxy S8. So where does this sit on an impressive list? 5.7in, 1440 x 2560 LCD screen, secondary screen 2in, 160 x 1040 LCD, 64,128GB/4GB RAM, Quad-core Snapdragon 821 CPU, Adreno 530 GPU, 12MP rear and 16MP front cameras, microSD (dual SIM slot on some models), USB-C, no headphone jack, 24-bit audio, Android 7, 3000mAh battery, 162 x 80 x 8mm, 170g. Full specs here. We keep raving about the colourful, metallic finish of the U Ultra, but just look at it. It’s actually a curved glass finish constructed from Corning’s ‘super tough’ Gorilla Glass 5 - on the 64GB model. The 128GB model goes one step further and is finished in a premium-watch like Sapphire Crystal. We didn’t have the heart to drop test it but doubtless some videos will appear on YouTube over the coming weeks. The finish rivals, if not surpasses, Apple’s Jet Black special-edition glossy variant and, unlike the glassy (and explodey) Samsung Galaxy Note 7, sticks to your hand and isn’t as slippery as a fish. HTC also bundles a clear plastic case to add some protection while letting you still see the chassis. We preferred to use the phone without it but if you’re dropping a load of money on this, it’s a good idea to protect it somehow. One concern we do have is for the protruding camera lens. Without a case you’ve got to choose between scraping the front screen or the camera when putting it on a table. Hmm. The protruding camera means either the screen or the lens will be subjected to abrasion when you're placing it on a surface without a case. It’s a deceptively-large phone. Despite being only 8mm thick at 162mm in length it’s one of the largest on the market. There’s not much wasted space above and below the screens though. At the bottom is a function button which doubles as a fast fingerprint reader and directly above the main, 5.7-inch screen is a 2in secondary screen. If you’ve small hands or don’t like phablet-like big phones, this probably isn’t for you – but if you like the look of it, check out the smaller-yet-similar, single-screened HTC U Play, which we’ll be reviewing soon. We’re normally suspicious of second screen-like features as they can be gimmicky, not very useful and battery vampires. However, the U Ultra’s can be genuinely useful. It shows you notifications without waking the whole phone up, there are many different apps and shortcuts that it can display and it offers a high resolution and looks good. The fact we used it and didn’t want to turn it off speaks volumes. The exception here is with the Highlights news feed content, which we found as annoying as every other smartphone news/information service. We’d turn that off moving forward. The second screen seamlessly sits atop the main screen and offers notifications, news and shortcuts. The main screen is as crisp and vibrant as we’d expect from an Ultra High Definition LCD screen and we’ve no complaints there. Ultimately, beyond the ability to customise themes, there’s little here that doesn’t feel like a native Android 7 phone in general usage. That’s no bad thing. The processor is the Snapdragon 821 (with Adreno 530 graphics chip) which is the same as the Android Flagship, Google Pixel XL. As such everything flies along as fast as you’d hope and responsiveness is almost instant. Audio quality is something HTC raves about and usually for good reason. The BoomSound system is back here which includes 24-bit audio compatibility but there are caveats. Firstly, there’s no headphone jack... FFS. In a phone this big there’s surely not much excuse for it to be missing and hopefully this fashion trend will be short lived. There's no 3.5mm-to-USB-C adapter either. HTC does, however, include a USB-C-connected pair of 24-bit earbuds. Naturally, you can’t charge the phone while using them, unless you find a compatible adaptor from somewhere. 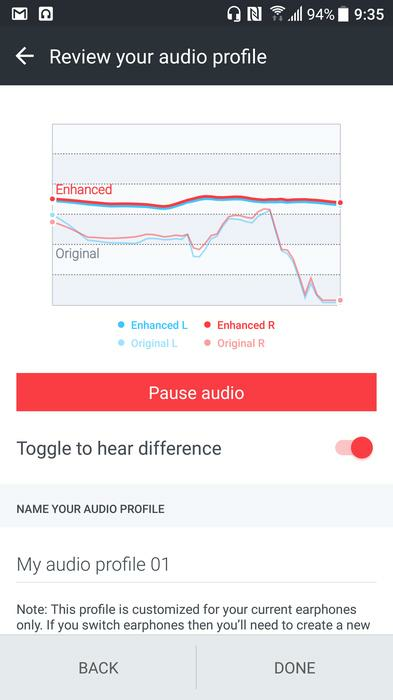 When you first plug in your earbuds the phone's 'USonic' feature will offer to ‘tune’ them to your ear canal in order to enhance audio quality. Whatever it does at this point, whether it's smoke and mirrors or bona fide science, the quick tests it runs deliver up some noticeable audio improvements which you can test by turning the enhancements off and on while a test track plays. There’s even a graph. HTC USonic. The graph illustrates how audio is tuned to your ear's unique shape. Apparently. However, for those wanting the loud-and-clear external speaker performance of previous HTC devices, it’s not here this time. While the external speaker does get quite loud the treble tops-out and distorts quickly and there’s next-to-no, bass-rich punch. If you miss this feature, those around you might be grateful. The U Ultra also has four different microphones for recording. It helps make the U Ultra particularly good for conference calls and recording audio with video.